NCERT Fellowship: NCERT Doctoral Fellowships 2018 for PhD Students in India. 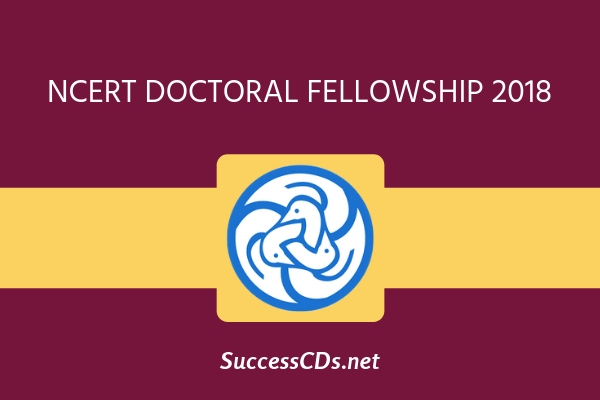 Check out more info on application, eligibility, dates, fees for NCERT Doctoral Fellowships 2018. To provide opportunities to young scholars to research the field of education from different disciplinary perspectives. To build the knowledge base of education in the contemporary context. The NCERT Doctoral Fellowships are intended to enable young scholars to pursue doctoral research in education and other related disciplines. Doctoral Fellows can pursue their work in a recognized university/research institution of their choice. The NCERT encourages original thinking in conceptualization of the problem and use of innovative methodology in conduct of the research related to school education. NCERT Doctoral Fellows will receive a fellowship of Rs.23,000/- per month (for Non-NET) and Rs.25000/- per month (in case of NET qualified candidates) for a maximum period of three years from the date of permanent PhD Registration and/or date of selection in NCERT. Good Academic record with at least 60% marks at both Graduate and Post Graduate Levels. Candidates registered for Ph.D. degree in a recognized university/ or working toward their PhD registration are eligible to apply. The last date of receiving Completed Application is one month from the publication of the advertisement in the newspaper.